I dont even know where to start with this post, but I should probably start with how I met these two. I met Bryan and Chris two weeks ago, on a Friday, at a wedding. They were both groomsmen in their best friends wedding party (See Previous Post). That following Monday I received an email from Chris asking to be their photographer, of course I said YES! Little did I know the beauty that was going to come along with this day. Rhode Island…the smallest land area, the eighth least populpus, and the second most densely populated of the 50 U.S. states. Nicknamed the “Ocean State” an by far the most GORGEOUS place I have ever been to. Sail boats filled the water, vast coastal lines stretched from every direction. When you think of a New England state Rhode Island fills every single description possible. 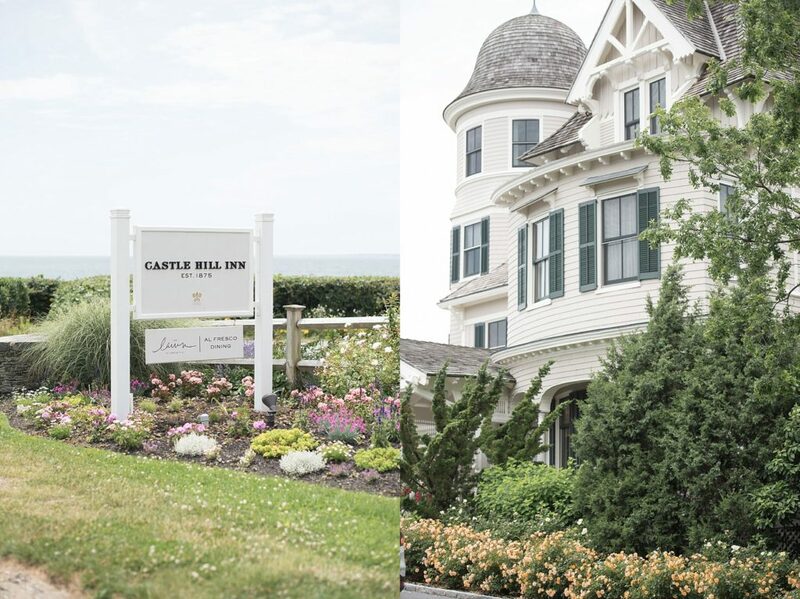 The wedding took place at the Castle Hill Inn in Newport. 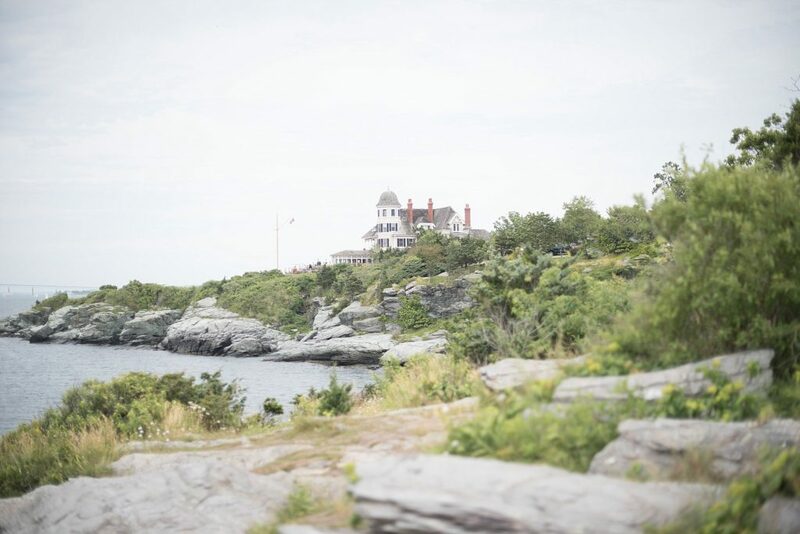 Commissioned in 1874 by marine biologist and naturalist Alexander Agassiz of Harvard, Castle Hill is a coastal haven situated on 40 magnificent acres overlooking breathtaking Narragansett Bay. One of my favorite moments of the day was watching Bryan and Chris walk into their reception for the first time. Their sweet planners Stasia, and Molly, are just amazing and they had waited all day to see their reactions. They didn’t disappoint!!! I was speechless when I saw the room! It was perfect! The florals were stunning, and the twinkling candles and chandeliers left you feeling like you were in a dream. Everything about their wedding was stunning! With that said, as awesome as the decor was, the best part of the day was seeing Chris and Bryan together… happy, in love, and MARRIED!!! Their funny, high energy, and love to have a good time! And probably the best dancers I have ever seen. You can see the happiness in these images! I could go on forever about this day and this experience, But I will let the photos speak form themselves. Chris & Bryan, may you always remember and treasure these moments…day one of your marriage journey. Allie and Michael, where do I even begin!? Gosh I just love them! I’d been looking forward to shooting their wedding since the day I first spoke to them on the phone almost a year and a half ago. They are two of the most genuine people I have come across. Both from Rochester NY, they decided to exchange vows at the gorgeous O’Brians Sleepy Hollow in East Aurora. Blue skies, a gentle breeze, and family and friends, made this day just perfect. From a sunrise walk on a beach to tears down the isle Allie and Michaels’ love is something out of a fairytale. Allie stunned in a beautiful Theia Couture gown with her bridesmaids in the most perfect soft shade of pink. Their flowers and details complemented every aspect possible. To the newlyweds… Thank you for trusting me to document one of the most important days of your life. It was and honor and a privilege. I wish you nothing but the best that marriage has to offer! Oh you guys, i do not even know where to start! This was my official first wedding of the season and OH MY PRETTY. Not only was it my first but it was also a first for Buffalos’ newest addition to hotel and venue sites. Formally known as the Richardson Olmsted Complex, this trendy urban site was just oozing with history. And can we talk about the gorgeous window light!! It was HEAVEN! This day was perfect, the only curveball was some rain but that never seemed to phase Rachel, Brian or their amazing wedding party. They said their “I do’s” at historic St. Anthony’s a church which had so much meaning to Rachel, a church that witnessed her parents and grandparents exchange vows. So it was only fitting to continue the tradition. Everything about this day was incredible. Rachel and Brian… Thank you for allowing me to be part of such an important day in your lives! You two are truly something special and I wish nothing but the absolute best for you both on this new journey in your lives. They met in beautiful Saratoga Springs, NY and moved their love across country to sunny San Diego 2 years later. Nikki & Rory decided to come back to Nikkis’ home town and say their I Do’s at the beautiful Barton Hill Hotel in Lewiston, NY. What a day it was. The weather couldn’t have been anymore perfect for a Buffalo October. Draped in a stunning BHLDN dress and emerald earrings, Nikki saw Rory for the first time waiting for her among the calm, peaceful water. And can I say her bouquet was to DIE for!! The whole evening was filled with so much love and joy, and I enjoyed every second of it! Nikki & Rory, you two are such genuine sweethearts and I could not be more happy for you both! !